You are eligible to apply for an internal role if you are either on a BBC Continuing (Permanent) contract, a BBC Fixed Term contract, a casual contract or freelance contract and you have worked continuously for 6 months. Only internal staff are eligible to apply for the role on an attachment basis. You need to be on a continuing (permanent) or fixed-term contract. You need to have worked for the BBC for more than one year and not have been on an attachment in the last 12 months. You will also need permission from your line manager. You can find out more on our attachments page. Have you got a passion for radio? 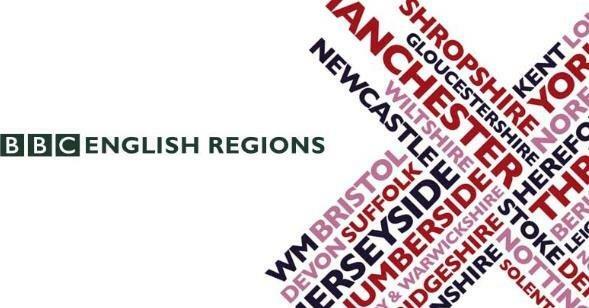 Are you a broadcaster bursting with ambition, who’d relish the opportunity to work at BBC WM? We’re looking for a journalist who’s a terrific storyteller and producer to join our newsroom at the Mailbox. It’s an exciting time for BBC WM so if you’ve got ideas and creativity this could be the role for you. You’ll be working in our busy radio newsroom sourcing stories, producing programmes and reading bulletins. You’ll need first class news judgement, ability to find great local stories and a great ear for radio. But just as important is your attitude – we’re looking for dynamic team players who can make a difference to our output. So if that’s you, we’d like to hear from you. We’re looking for an all-rounder who wants to get stuck in. You’ll be brimming with creative ideas to make entertaining radio and will be as at home producing programmes as out and about reporting. You’ll be able to turn your hand to reading bulletins and must be savvy with social media and digital journalism. We need journalists who will come to editorial meetings with their own ideas for stories as well as be prepared to talk about their take on the stories of the day. You’ll be expected to continually add new names to your contacts book on a variety of stories, finding new guests from diverse backgrounds. BBC WM is a friendly, busy, creative environment with an established and experienced team who will help and support you. We’re looking for someone who will add energy, ideas, and a flair for story-telling to the team. Ideally, you’ll have a track record in radio journalism and be able to demonstrate the desire to find fresh news lines on running stories, creative and fresh approaches to covering the news which chime with underserved audiences, and fundamentally a great attitude. You’ll have a great knowledge of the West Midlands and an impressive contact book. You’ll know that personality presentation is key to our success. And you’ll have an ability to look beyond the press releases and find the real story hidden within is key in this role. We want people who can lead the news with their own stories or treatments. In addition to your Careers Hub application, please email Sarah Harness with your story idea – showing how you would treat an original story on our Breakfast show.